We talk to many small business owners who are looking into used ambulance financing, and we love working with business owners. 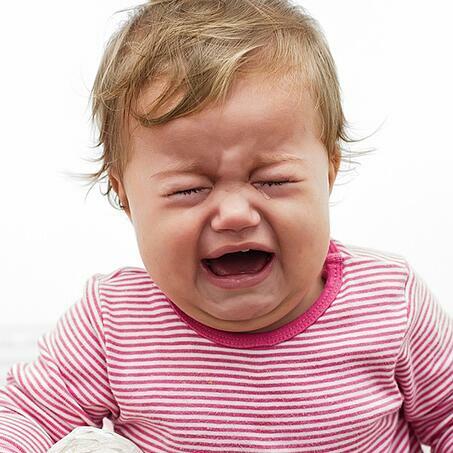 We also sometimes talk to government agencies about ambulance financing, and, well.... that's pretty much yuck for us. While we will get involved in financing emergency vehicles for a government entity when needed to help our vendors sell equipment, in general we prefer helping small businesses - the reason we duke it out every day is to make a difference, not be a number in someone's spreadsheet. We sometimes get calls from people looking to finance a vehicle that have bad credit, zero down payment, and no assets whatsoever that can be used as collateral. If you want someone to loan you money to start a business, you're going to have to start paying your bills and setting some money aside. 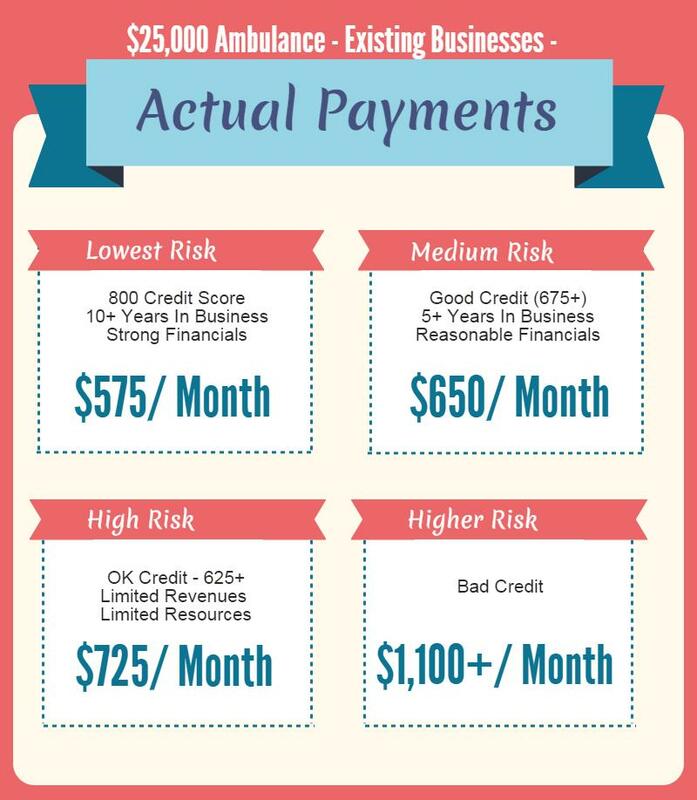 However, if you've got at least ok credit - especially if your credit report shows a history of vehicle loans - you should usually be able to qualify. Find out if you'll qualify and your rates here. If you've got bad credit, but you can make a large down payment (50%) or have significant assets to use as collateral, often you can get financing for your purchase as well. 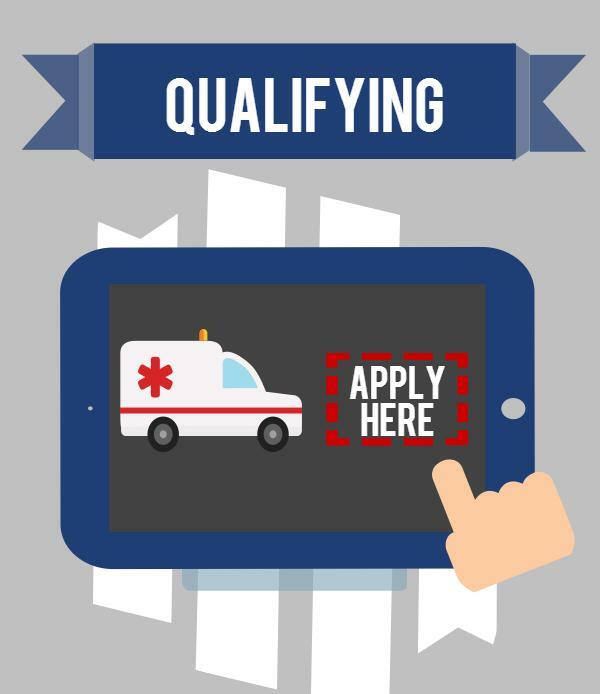 If you've already been operating for a while, it is much easier to qualify for ambulance financing. Your credit score will be less of a factor in qualifying if you can prove a history of making money with your business. 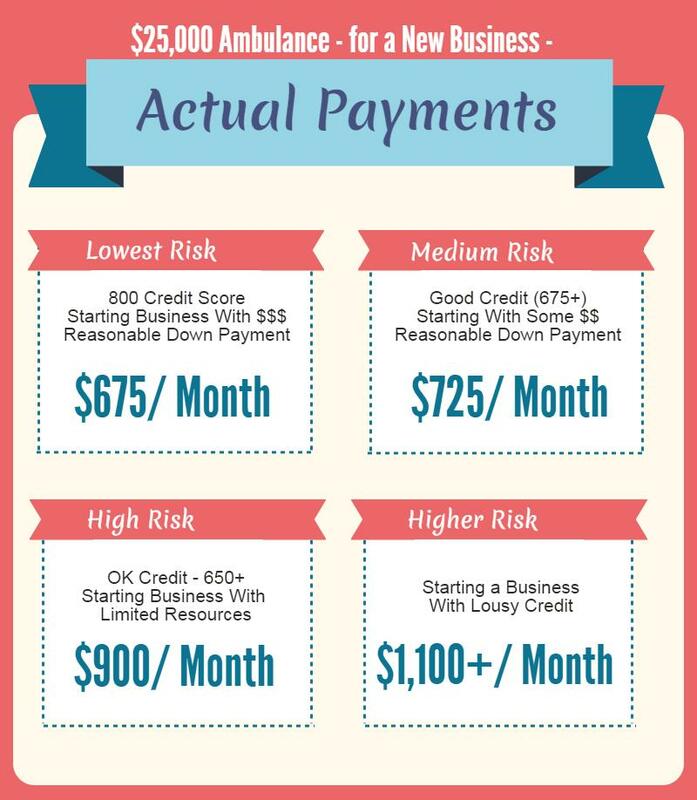 In general, while we usually look for a 625 credit at the very least for a new business, you could have a credit score in the high 500's and sometimes be approved if you can show a reasonable flow of revenue. What are the Actual Costs to Lease an Ambulance? The amount you'll pay to lease an ambulance depends on the price of the ambulance and your business and credit situation. A new ambulance could easily cost $150,000 or more, but used ambulances are readily available as most government agencies have to replace their ambulances every 5-7 years. For that reason many small business opt to buy a used ambulance, and there is a huge range of prices - the Ambulance Trader website, for example, lists prices from around $10,000 to over $100,000. For purposes of illustration, let's assume a $25,000 ambulance and go over what your monthly payments might be given various situations. What are Monthly Payments for a Startup Buying an Ambulance? If you're a startup, your payments will be considerably higher than for an established business financing the exact same equipment. Many new business owners who look into financing for an ambulance or any other commercial vehicle expect the payments to be the same as when you buy a car. When you go into a car dealership, if you have ok credit you might pay $500 per month to finance a car for 5 years. If you're brand new in business, there's about a 50/50 chance that you'll succeed. Since startup rates are high, when you get told the real rates, often times you will shop around until somebody tells you fake rates. Note - These rates are approximate, but they aren't B.S. What are Financing Rates for an Ambulance for an Existing Business? In most cases, if you've got at least a couple of years in business, the rates to finance your vehicle will be a whole lot cheaper. Many times, if you are buying equipment that is relatively new, often the transaction can be structured so that your payments could be lower, and also provide large tax advantages (although this type of structure would entail a "residual" or a balloon payment at the end of your term). While all the different combinations of ways to structure the transaction are beyond the scope of this article, we'd be happy to go over them with you to help you find the best way to structure your transaction. Ambulance financing doesn't need to be an emergency - to get a quote relative to your situation, call us at (866) 631-9996 or click on the picture below.